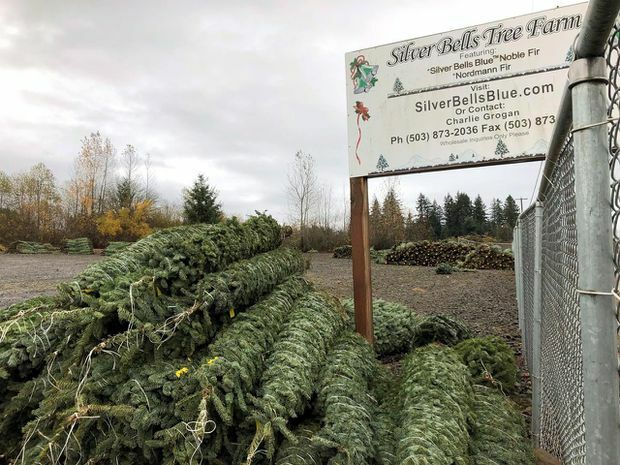 Christmas trees sit in a dirt lot at Silver Bells Tree Farm in Silverton, Ore., before being loaded onto a semi-truck for delivery in November, 2018. Canada’s Christmas tree farms produce over three million pine, spruce and fir trees each year – and most of them are simply abandoned at the curb soon after Santa makes his annual visit. “You are feeding the soil. By fall the smaller branches and twigs that have been in contact with the soil will have probably broken down quite a bit. They might not even be there any more,” he said.